Christmas wreaths are a traditional must, it is like a bow tie for the door so why not go against the usual styles on offer and create a unique and simple wreath idea designed by Camille Styles. 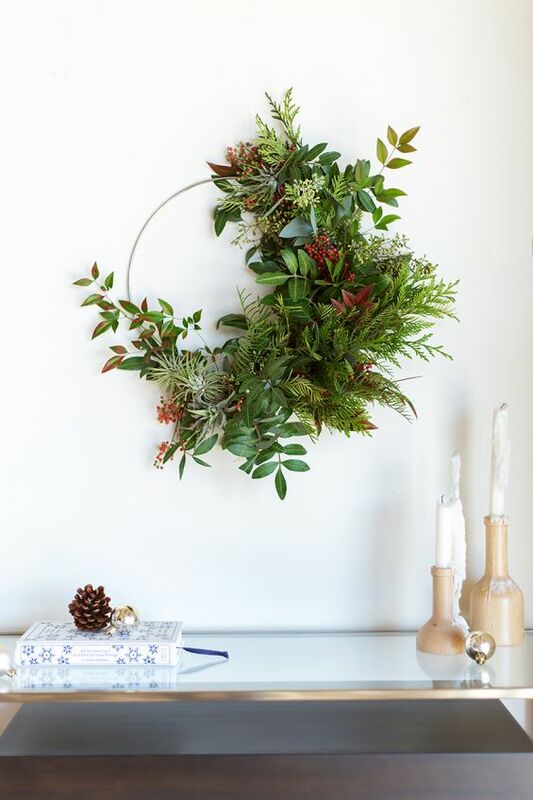 A simplistic wreath made with only a handful of greenery and berries of your choice will give your door the classy Christmas vibe you desire. Less is more. 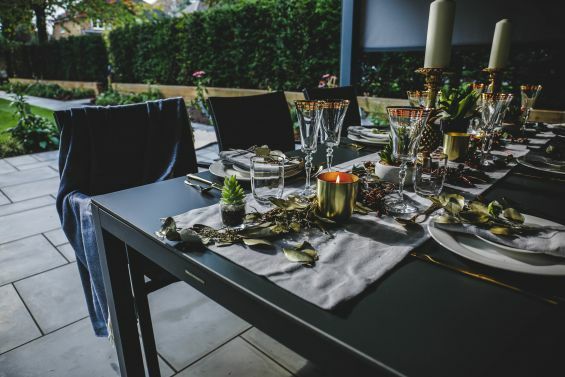 By simply dressing your outdoor furniture with some winter throws you will create an outdoor living space that family and friends can retreat to and relax, taking in the fresh winter air. Add some candle lanterns to give it a warm touch and you have space to be desired. 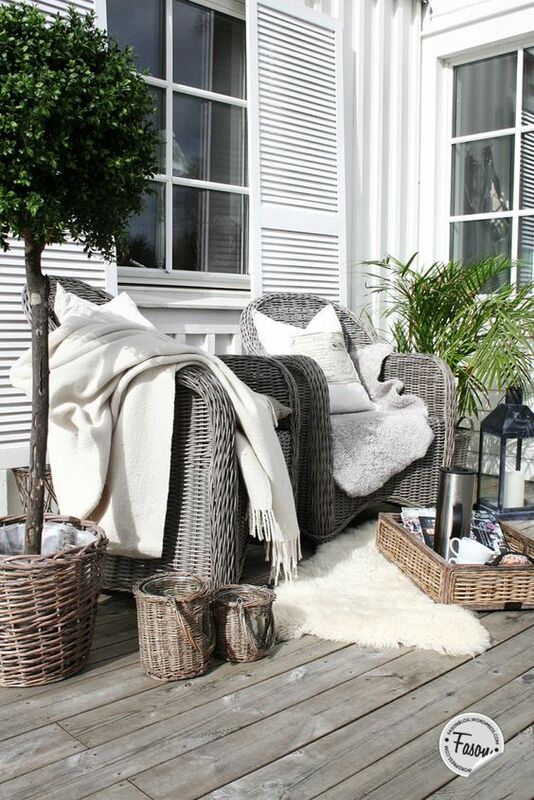 If you have a feature tree in your outdoor space then this is a decoration style guide that will be well suited. 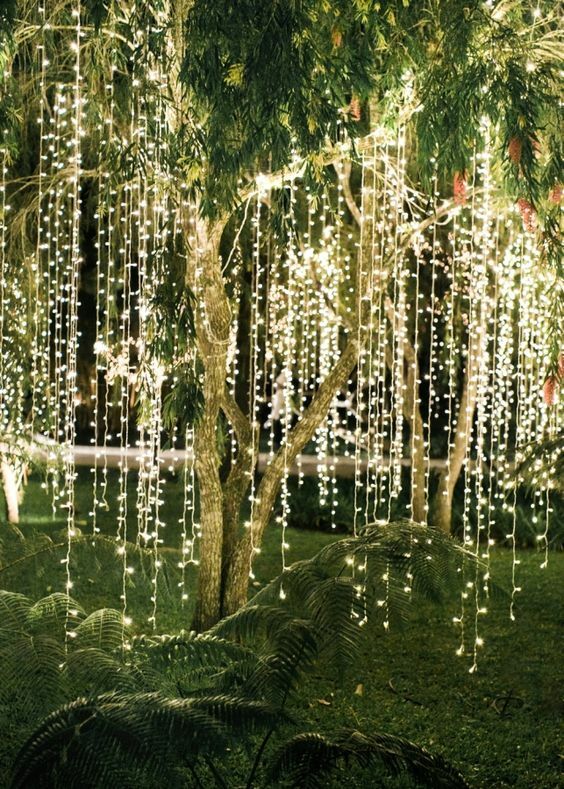 By simply hanging them from a tree you are creating something that has a more magical feel as the hanging lights will add more depth to your external space. 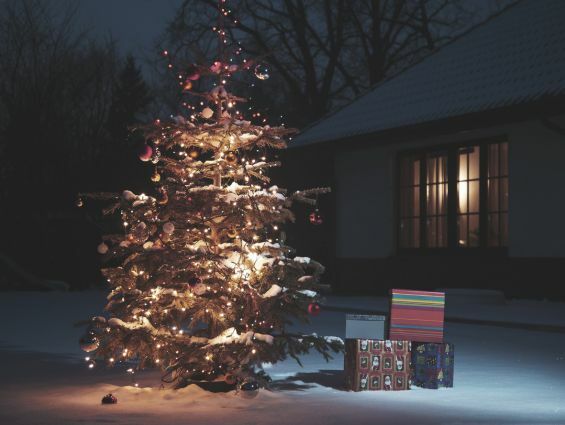 A common practise most people will take is to wrap the tree round with the lights which looks like a rushed job. Take some time and create a tree that will have people looking twice. It doesn’t get more magical than this. 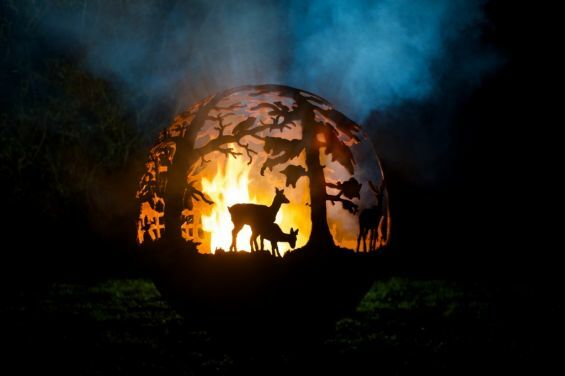 Take a look at these bespoke fire pit ideas hand crafted by Andy Gage at The Firepit Company. 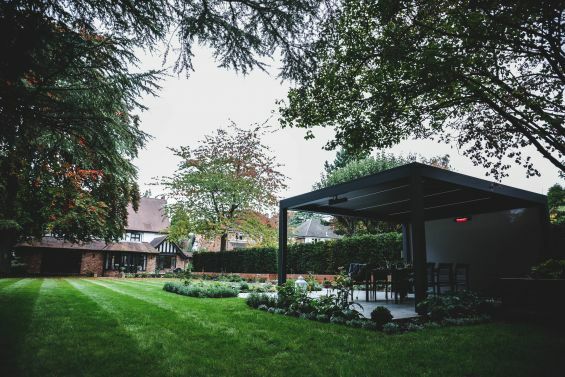 Once you have one of these a light in your garden space you will be guaranteed to have your family and friends all huddled around the fire in amazement. Having a fire pit is a great way to get everyone socialising in the warmth.